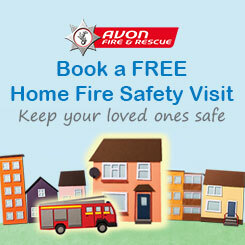 Following the publication of a Statutory Inspection Report in 2017, the Fire Authority approved a Best Value Action Plan at an extraordinary meeting held on 27 July 2017. The inspection considered the Fire Authority’s compliance with its Best Value duty under Section 3 of the Local Government Act 1999 which required the Fire Authority to make arrangements to secure continuous improvement in the way in which its functions are exercised, having regard to a combination of economy, efficiency and effectiveness. A major Improvement Programme was subsequently established to address the 62 recommendations within the Action Plan. 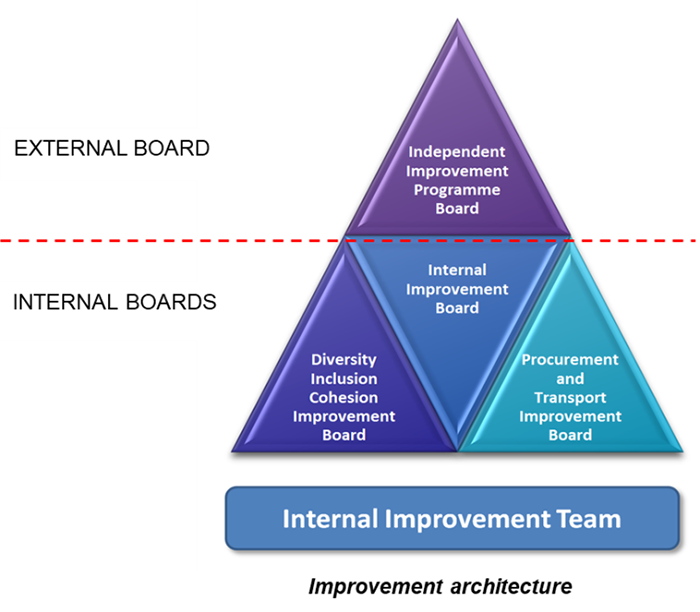 A governance architecture was introduced comprising of three internal improvement boards to oversee the programme and scrutinise progress made. An external scrutiny panel was also introduced to ensure the Authority’s functions are making the necessary improvements. A small team was established in October 2017 dedicated to programme management and delivery of the Action Plan. We have now completed 64 of the 115 work packages (the individual actions being undertaken that contribute towards the completion of each recommendation) with a further 18 due to be scrutinised by the Improvement Working Group on 17 January 2019. The Fire Authority approved a further 6 Recommendations on 20 December 2018. 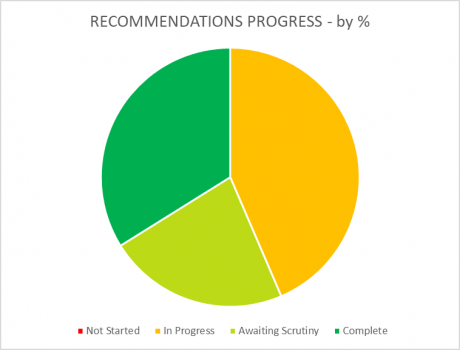 The charts below show progress to date at Recommendation and Work Package level. Summary dashboard showing progress made to date by percentage against the 62 'Recommendations’. There are currently 21 complete, 14 awaiting scrutiny and 27 in progress. 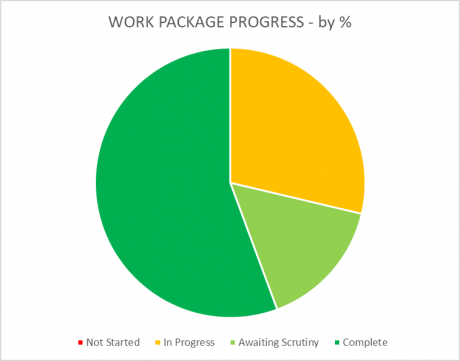 Summary dashboard showing progress by percentage made to date against 117 'Work Packages' (action points). There are currently 64 complete, 18 awaiting scrutiny and 33 in progress.